With the UK scheduled to leave the European Union in 12 weeks and less than a month left to agree a deal that the EU can ratify, society and services in NI could be on the receiving end of the worst consequences of a no deal. This could have significant negative consequences at a time of political stasis in NI with this lack of political leadership leaving a vacuum for increased societal division down sectarian lines and the threat of turning back the clock to a time where people do not feel they are being treated equally here. Around 30,000 people cross the border on a daily basis to go to work or study, this ability to move across the border freely would be impacted by any physical infrastructure at the border. It is vital that any eventual solution or backstop avoids any hardening of the border and avoids erecting any new barriers. Our economic well-being – a no deal Brexit would bring immediate increased costs, restrictions and uncertainties for the NI economy and public finances. This includes new barriers to cross-border and wider trade with the EU which accounts for 60% of NI’s exports , and uncertainty over the loss of the c.£500M/yr of EU funding and farming subsidy payments which NI currently receives. 87% of farming income in Northern Ireland comes from EU CAP subsidy payments. A no deal scenario in which the UK would have to abide by World Trade Organisation (WTO) rules could result in increased barriers to trade, higher labour costs which would impact on UK households, leading a typical weekly grocery shop to rise by up to £1000 per year. This would disproportionately impact those on the lowest incomes. 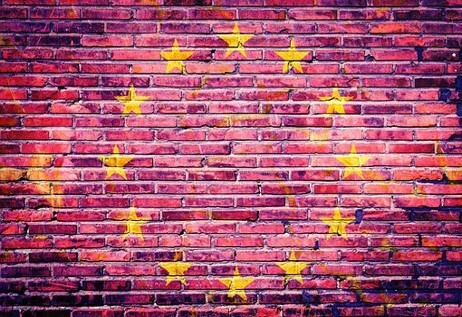 Our rights and freedoms - Under a no deal Brexit scenario, we are set to lose out on many of our rights and freedoms related to EU membership including the freedom to travel, work, study, access healthcare, and buy and import products freely. Many of the important guarantees in the Belfast/Good Friday Agreement regarding citizens’ rights have been underpinned by joint UK/Irish Membership of the EU. If there were to be a no deal, this would leave the future of these rights and protections in question, threatening to undermine the agreement and the peace process. Our health - A no deal Brexit would end the current underpinning basis for cross-border healthcare provision, whether for emergency or planned treatment with a lack of clarity around what health services will be available on a cross border basis. In the three years from 2015-2017, Northern Ireland residents received £1.7m worth of healthcare in other EU countries as part of the Cross Border Healthcare Directive. Under a no deal Brexit this access would end for NI citizens. Concerns have also been raised by those in the health sector that no deal could further exacerbate existing problems in supplying prescription drugs as well as potential delays in receiving new licensed drugs by the EU. Our environment - Under a no deal scenario, our environment could suffer significantly from the loss of EU environmental standards and protection and current EU cross-border environmental co-operation and legal enforcement arrangements to protect the water quality of our rivers and seas, proper disposal of waste and the protection of our wildlife. Under a no deal scenario we risk a sharp reduction in cooperation to tackle environmental challenges which are currently targeted through 155 common frameworks across the EU for different aspects of our environment. Not only would a no deal risk all of the above disastrous consequences, it would also mean there would be no transition period after we leave the EU on 29 March. We would essentially fall off a cliff edge come this date, with no time to prepare and adapt to new rules, trade deals and the future relationship with the EU or to explore alternative solutions.